In this article we discuss the many health benefits of peppermint, where it comes from, what it comprises, what it’s used for and how to use it. Peppermint also known as Mentha Piperita is a popular flavoring for toothpaste, tea and gum among other products. It is widely used as a medicinal product to aid digestion and to ease stomach upsets. This is because it contains active ingredient menthol that not only freshens the breath but also provides a soothing effect. It is also used in the treatment of many conditions including anxiety, nausea, diarrhea, flatulence, menstrual cramps, headache and irritable bowel syndrome and skin irritations among other conditions. Peppermint also kills bacteria, fungus and virus because it has antibacterial and antifungal properties. It also has antivirus properties. Indigestion, bloating and irritable bowel syndrome, are common conditions that can cause a lot of discomfort. There are many medications in the market today that can be used to ease these conditions but peppermint has proven to be more effective. Peppermint is known to have a calming effect therefore; it calms all stomach muscles thus enhancing bile movement. This allows for easy digestion of fats and food will pass through the stomach much easier. You will not feel any stomach upset and it plays a crucial role in preventing gastroesophageal reflux disease. Peppermint also relaxes muscles and it helps to prevent bloating. Several studies have also show that it is very effective in the treatment of irritable bowel syndrome. This is because it relieves stomach pain, eliminates gas and prevents diarrhea. Coated peppermint capsule is prescribed to patients suffering from irritable bowel syndrome because it does not cause any heartburn. It helps to enhance stool frequency, reduce flatulence and reduce abdominal pain. More than 80 percent of patients who have been tested on peppermint have shown great signs of improvement and it shows how effective peppermint is in treatment of irritable bowel syndrome. When suffering from headache, you only need to apply peppermint on your forehead and temples. It provides a calming and soothing feeling that help to reduce and eliminate headache symptoms. It is also used in treatment of skin irritations. Peppermint can be applied on the skin and it helps to ease irritations caused by poison ivy, poison oak and hives.When suffering from colds and flu, peppermint is the best herb to use. This is because it contains menthol, an effective and active ingredient. Menthol is a decongestant and helps to thin mucus, loosen phlegm and break up dry and soft coughs. It also provides a soothing and calming effect on the throat therefore, clearing colds and flu in an effective way. Peppermint is derived from a plant that grows up to 3 feet tall in Europe, North America and Asia. It blooms in the months of July and august where you will spot tiny purple flowers in its spikes. 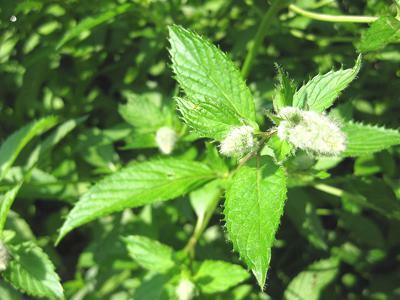 The plant has dark green leaves that grow opposite peppermint flowers. The plant also grows in moist, temperate areas and also loves to grow in the wild. 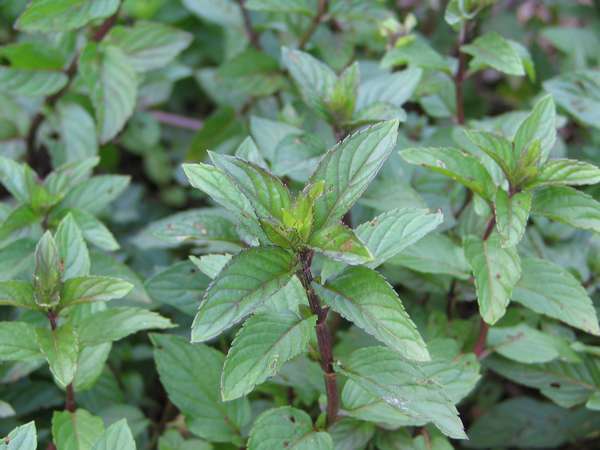 Other varieties of peppermint can be found in South Africa, Australia and South America. It contains menthol, an active ingredient that is also considered a volatile oil and contains the best medicinal properties. Peppermint can also be used as a food flavoring and a fragrant in different cosmetic products. Peppermint is available in different forms including peppermint tea. This is prepared from dried leaves and is sold in the market. Peppermint spirit, also known as tincture is available in alcohol solution. It contains leaf extracts and oil. It is also available in coated capsule forms, creams and ointments. Peppermint can be used in tea where 1tsp of peppermint leaves is mixed with boiling water for about ten minutes, strain and leave it to cool. Take 4 to 5 times a day. For skin irritations and itching, apply menthol available in cream and ointment form to the affected area 3 to 4 times a day. 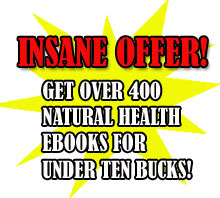 You can also take enteric capsules 1 to 2 capsules, 2 to 3 times a day. Small children and infants should not use peppermint to prevent life threatening conditions. Peppermint reduces stomach acids and it is important to use it in the correct amounts to avoid negative effects. 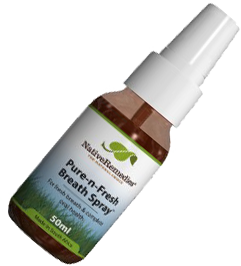 Natural herbal mouth spray w/ peppermint for bad breath, promotes fresh breath, plus sustains oral health – CLICK BOTTLE for more info!